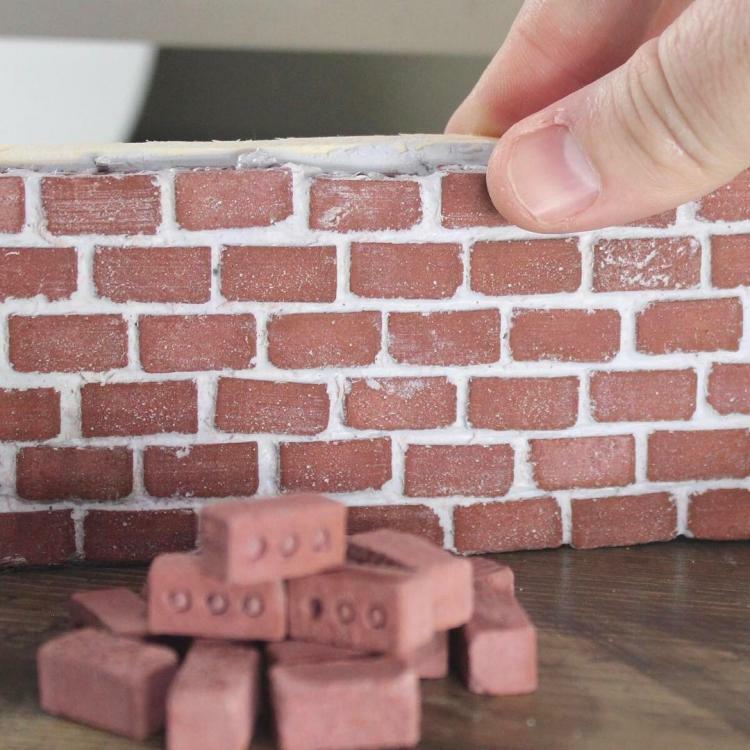 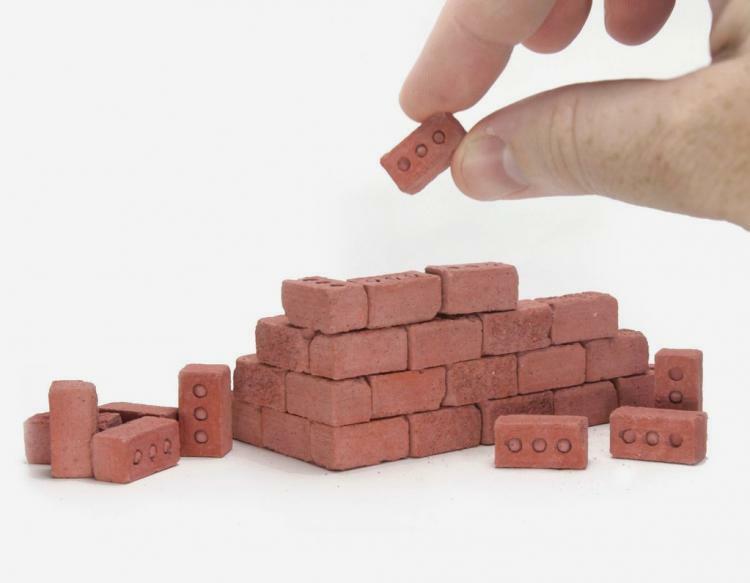 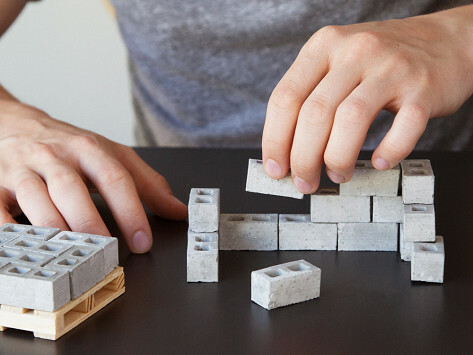 Whether you love Legos, building blocks, Donald Trump, or just building walls, you'll most likely enjoy these tiny bricks that let you build your very own miniature wall. 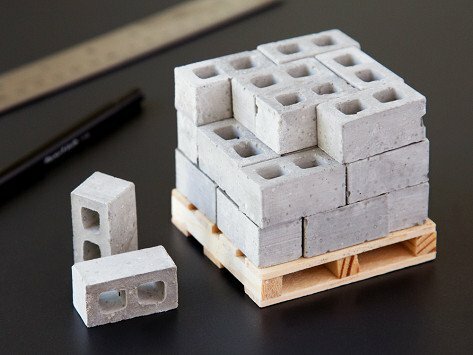 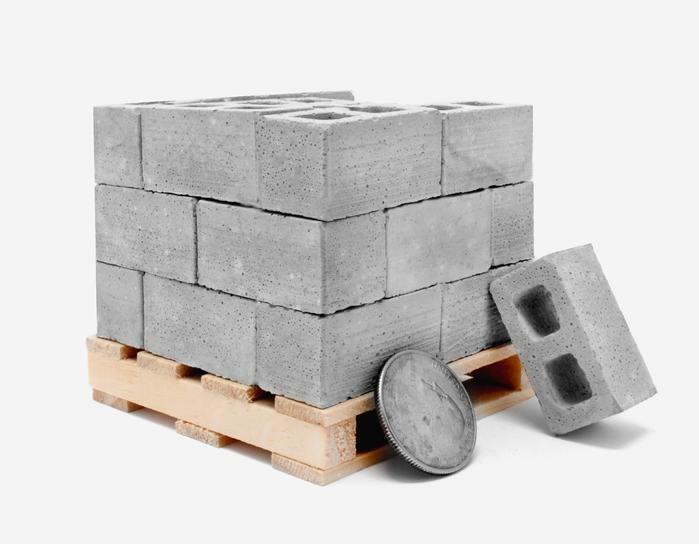 The mini cinder blocks comes in a set of 24 bricks, and even come atop a tiny little wooden pallet where the bricks are stacked up and ready to go just like you'd find in the real world! 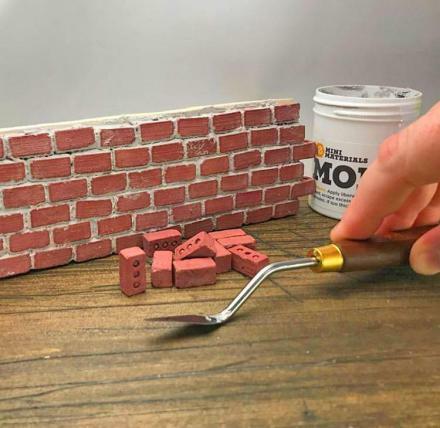 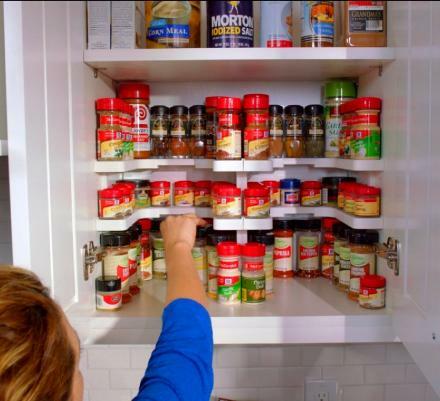 The tiny bricks come in either grey or red colors to choose from, and you'll also need to get a miniature container of mortar for you to easily stick the bricks together to get your wall started. 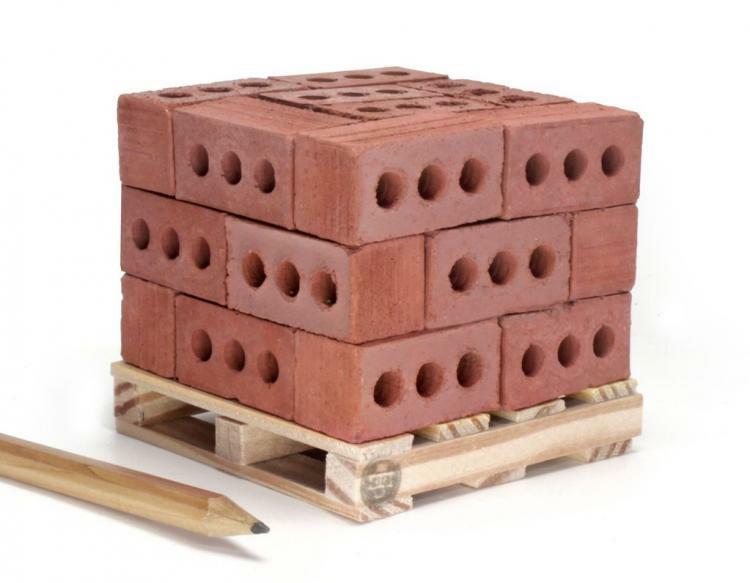 The grey bricks come in a set of 24 bricks, whereas the red bricks come in a set of 25 bricks. 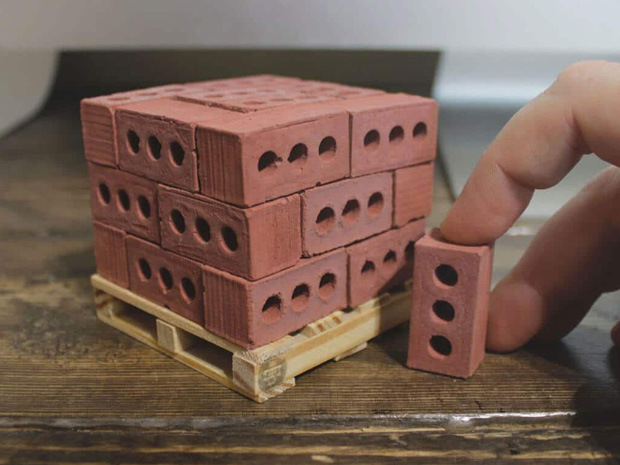 Also, the red bricks are 1:6 scale of actual red bricks, and the grey bricks are 1:12 scale size of an actual cinder block. 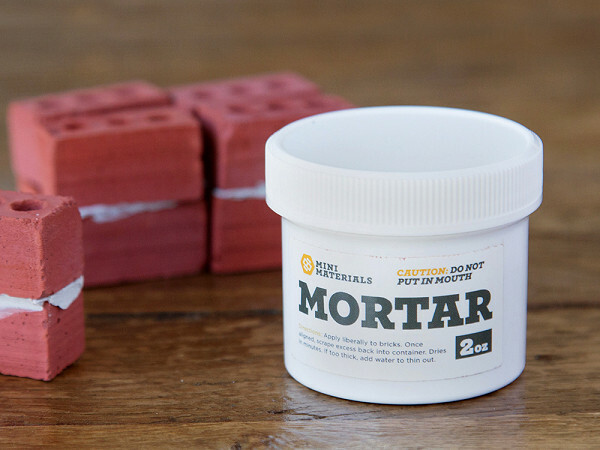 Neither of the bricks come with a container of mortar so you will nee to purchase a mini container if you'd like to connect them together into a wall like a real mason. 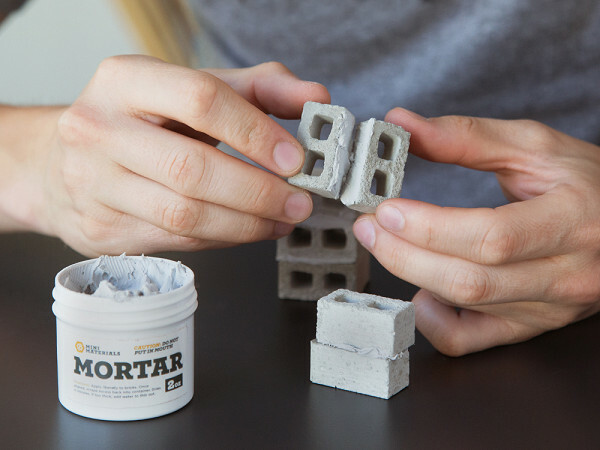 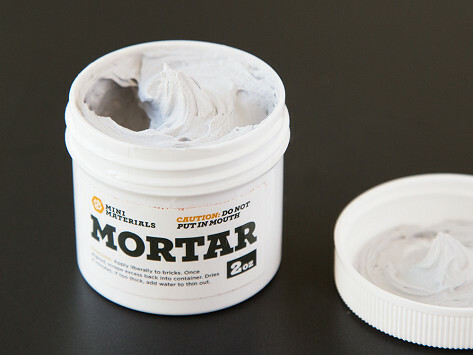 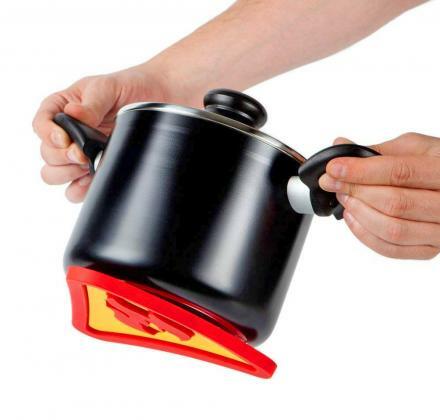 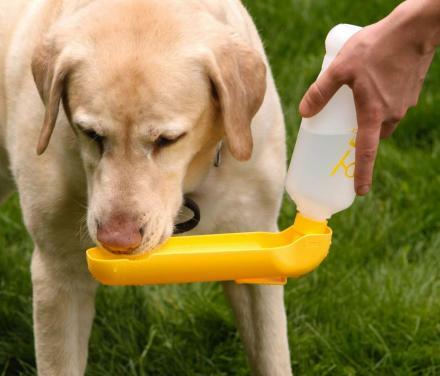 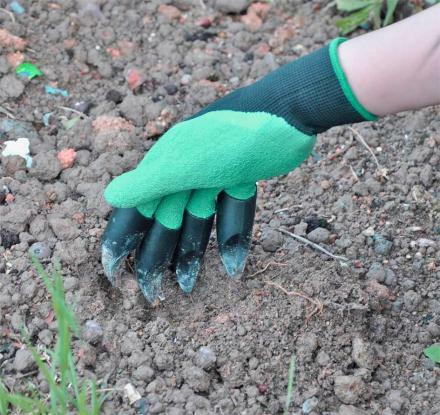 The add-on container of mortar comes with 2 oz of mortar, if fast drying, contains stone veneer adhesive, and it measures 1.8 inches tall x 1.9 inches in diameter. 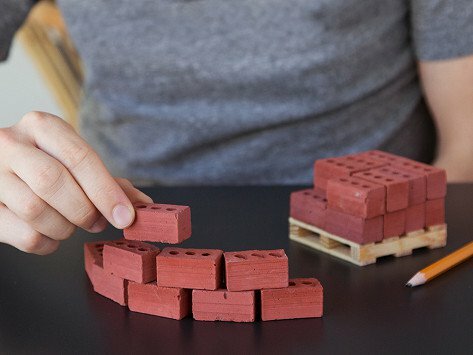 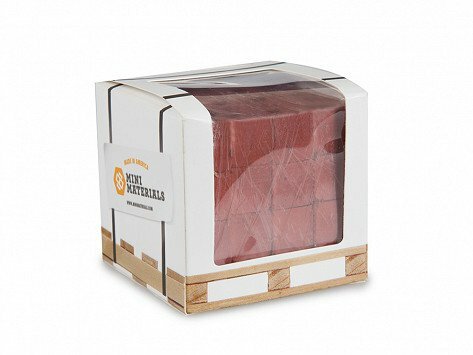 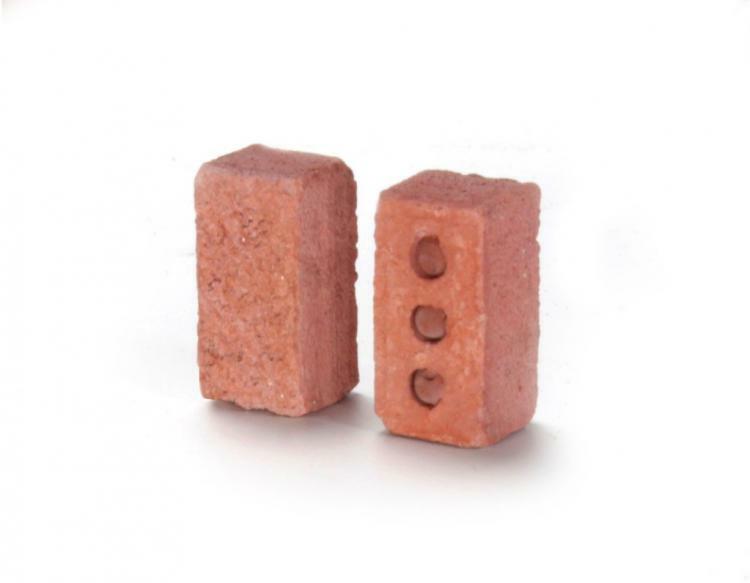 The mini bricks are made from a cement mixture (with red dye for the red bricks), come with a wooden pallet along with nails that go through each brick to hold them in place on the pallet. 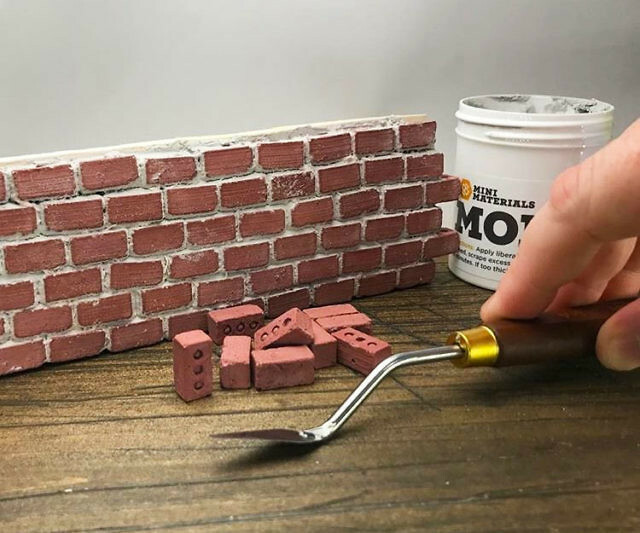 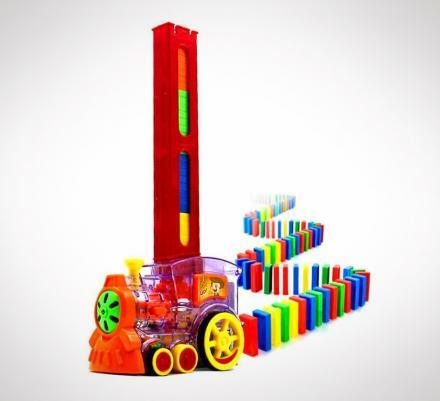 The bricks are perfect for a desk toy, fun stacking toy, or a way to build a mini wall, planter, pen holder, key-chain, and more. 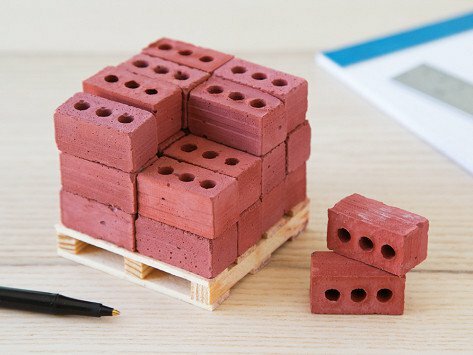 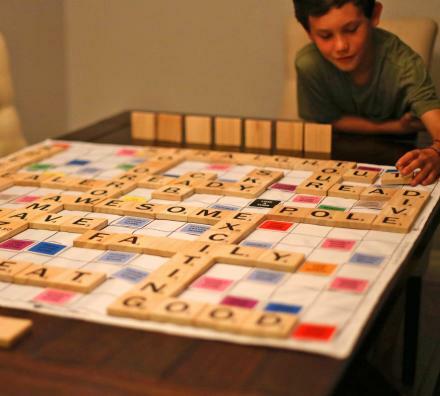 Once you're done with the bricks and assembled your mini wall, you can use the tiny wooden pallet that the bricks came on as a coaster, or just a funny little piece of decor around your house.